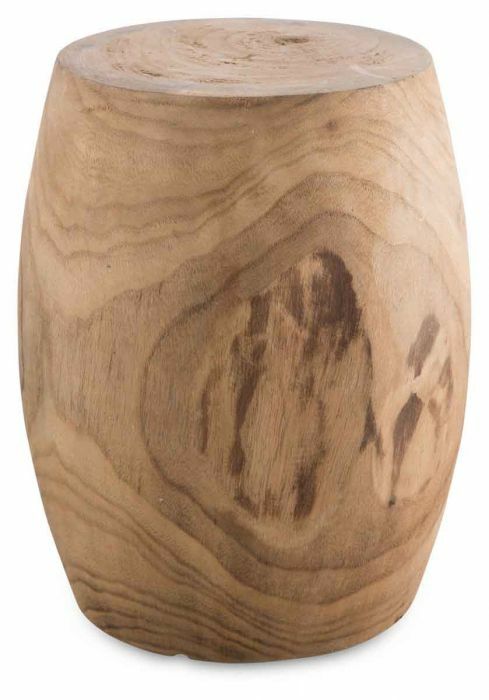 Bring the feel of nature indoors with this Small Paulownia Wood Stool. Made of durable paulownia wood, it has a light natural tone and raw grain that complements rustic styles beautifully yet is subtle enough to accommodate an array of home decor styles. 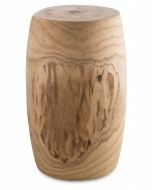 The wood stool has a simple curved shape and wide flat top that make it a charming, understated display space for an eye-catching vase or statue. 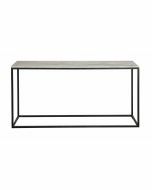 Or you can set it as a standalone piece next to a chair or sofa for handy additional seating space or as a place to rest your book or beverage. 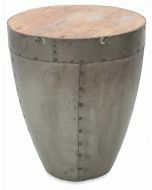 It's also a great item to place in a nook or alcove to add a bit of earthy character. Measuring 24 cms (L) X 24 cms (W) X 39 cms (H), this small wood stool makes a lovely impression on its own or paired with a matching larger stool.